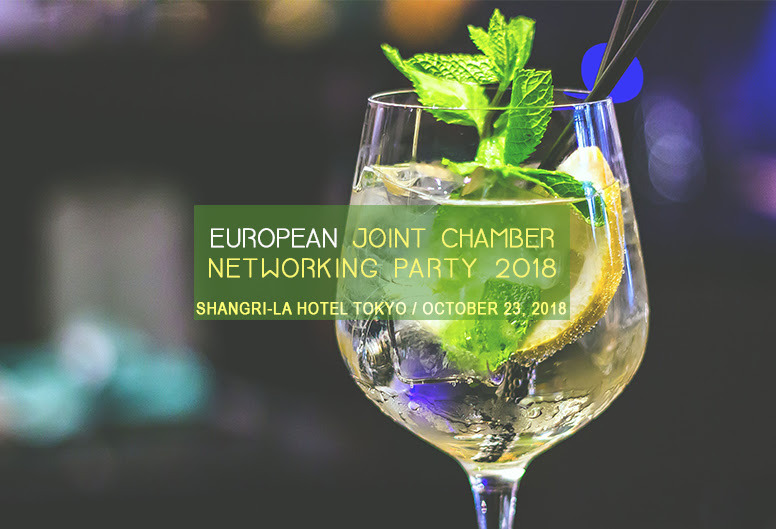 The BLCCJ is glad to announce the next edition of the traditional European Joint Chamber Networking Party, held this year on Tuesday 23 October, at the Shangri-La Hotel. Come and join more than 200 guests at the must-attend event of the year for networking with business people from over 10 European Chambers of Commerce. An evening of networking with fine food, free-flow wine and a free raffle awaits you. 2018 is very special because we are celebrating this year many anniversaries: 100 years for the French Chamber, 70 years for the British Chamber, 40 years for the Belgian-Luxembourg Chamber as well as the Dutch Chamber, 10 years for the Irish Chamber and finally the first year of the Spanish Chamber. This traditional gathering of European Chambers is the perfect opportunity to celebrate and remind ourselves that we are stronger together! Organized by the French Chamber of Commerce and Industry in Japan, co-organized by several European Chambers of Commerce incl. BLCCJ. *Any cancellation after the deadline or no-show will be charged. However, your participation will only be confirmed after we have received payment. The deadline for bank payment is Monday 15 October, 18:00.